“If you’ve ever doubted animals have souls, this book will open your heart and mind to truly believing we are all connected. You will never doubt again. Your life will be enriched far beyond what you could have ever imagined and you will have author Allen Anderson to thank for it.” A DOG NAMED LEAF is a great gift idea for the dog loving friends and family in your life! We are sharing this special edition of the Angel Animals Story of the Week Newsletter. We only do these a few times each year when we have something new and exciting to tell you about. After all the years we’ve been pet book authors, we are so happy to finally be able to offer you our hearts and minds on the subject of writing about pets and animals. Have you ever wanted the advice of someone with experience who is eager to help you fulfill your dream? We’re using this special edition of the Angel Animals Story of the Week to introduce you to WOOF, MEOW, WRITE, PUBLISH: Writing about Pets and Animals for Love and Money. It is our downloadable, comprehensive course for people who want to write books, articles, stories, and essays about animals for publication or pleasure. Check out our new website that tells all about this one-of-a-kind writing course. Go to www.allenandlindaanderson.com to download WOOF, MEOW, WRITE, PUBLISH now. You’ll love the 14-day return offer. Never before have the authors of fourteen published pet books, many of which have won awards and become best-sellers, actually revealed the secrets of writing successfully in the specialized field of pet writing. We are excited to finally be able to tell you about the techniques and hard-earned experiences that helped us sell over a quarter million books through retail outlets and online bookstores. Our pet writing keeps us in touch with you and thousands of others who read the online Angel Animals Story of the Week newsletter. Did you know that our books are published in multiple languages, by major publishers in New York and the United Kingdom, and sold in bookstores and online around the world? Some of you may remember that our 2010 pet book, Dogs and the Women Who Love Them, was listed as one of the top sixteen dog books by O Magazine. Our seminal book on animal rescue, used in disaster-preparedness training and college classes, won the prestigious American Society of Journalists & Author’s Outstanding Book Award. You may have noticed our books featured on the Today Show, Montel Show, Animal Planet, NPR, USA Today, and the Washington Post, among others. Betty White, Carson Kressley, Joe Mantegna, Richard Simmons, Tippi Hedren, Willard Scott, Brigitte Bardot, Dr. Allen Schoen, DVM, Dr. Marty Becker, DVM, and numerous other animal-loving celebrities have endorsed our books. Now we have meticulously gathered together experience and insights we gained since beginning Angel Animals Network in 1996. We are excited to share with other writers the shortcuts, pitfalls, techniques, and challenges of writing about pets and animals. In today’s world, we know from practical experiences that pet writing can serve as a welcomed additional source of income. Even in a down economy, with two out of three American homes having pets, and most people viewing pets as family members, the market for pet and animal books remains insatiable. Why do New York Times best-selling authors, such as Susan Orlean, and celebrities, such as Shirley MacLaine, write animal books? These are authors who have written about many topics but they know that people today can’t get enough of the unconditional love, laughter, and fascination animals bring into our lives. Why, when so many other books are floundering, do pet books remain successful? It’s simple. Do the math. If you have a pet, you want to read a pet book. If you don’t have a pet, you want to read a pet book, because it helps to fill the hole in your heart a furry friend would occupy. That’s a lot of people who want to read books, magazines, blogs, articles, essays and website content about pets and animals. Go to www.allenandlindaanderson.com to download WOOF, MEOW, WRITE, PUBLISH now. You’ll love the 14-day return offer. We’re introducing to you today the most unique writing book ever! And that’s no exaggeration or hype. You won’t be able to match this book with any other writing book for its practical information about writing, publishing, and marketing. WOOF, MEOW, WRITE, PUBLISH has all the basics and so much more in its three-part course. A 150-page Manual Filled with one-of-a-kind information about writing, publishing, and marketing that you won’t find anywhere else; includes real-life examples from professional pet authors. A 115-page Workbook Loaded with 74 exercises and writing prompts that will lead you through every phase of writing about pets. A 10-minute Audio Recorded Podcast Our chance to talk to you about how we started at mid-life with love for our family pets and built up a business as successful pet book authors who could help animals everywhere with our writing. Want to take the first steps toward mastering a form of writing that will connect you with animal-loving people around the world and across cultures? Want to honor an animal who has meant much to you? Want to use writing to acquaint potential customers or clients with your pet business or service? through the power and love of the written word. Animals can’t speak or write – but YOU can. Let us help you make those dreams come true. Pet books and stories, especially memoirs and personal experience accounts, depict the journey of a person and an important animal in the person’s life. Readers get involved in the emotional elements of the story when the main characters — the person and the pet –change and grow. 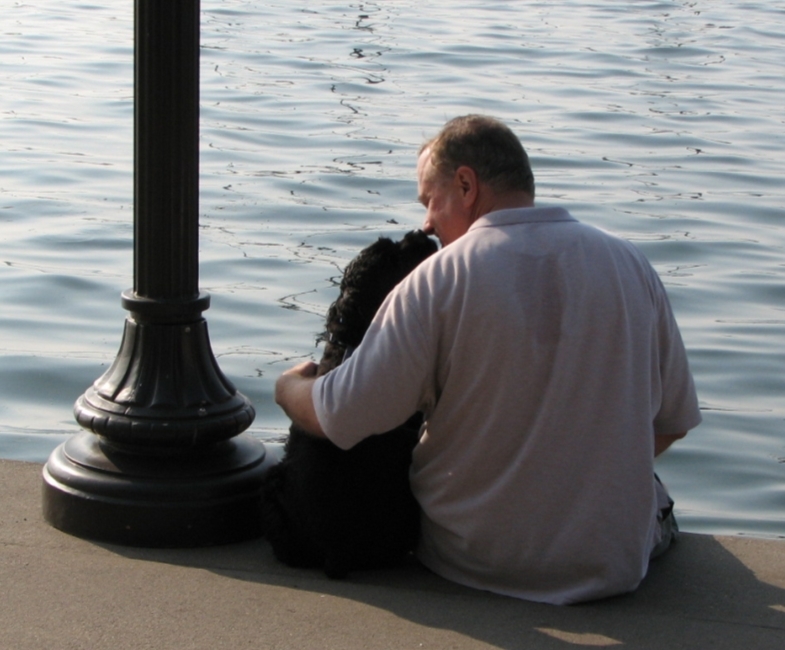 A simultaneous dual journey involves a person and a pet having experiences together over the same time period. Each of them moves from a beginning of their relationship to the climax and resolution of their most pressing crisis. Then the story finishes with an ending either of their time together or of the main conflict they faced. A parallel dual journey may happen simultaneously or at different times. In this type of story the pet and person share an issue, such as fear of abandonment. Together they help each other resolve the issue. Some parallel dual journeys involve pets and people who both have the same or similar illnesses or serious challenges to battle. A separate but equal dual journey is one in which the person or pet has significant experiences happen before or after they are together. This type of dual journey usually occurs when a beloved pet has died, and the person continues on with life, possibly with another pet. At some point in any dual journey, the lives of the person and pet must intersect. This is when the person comes to understand the roles he and his pet are playing for each other. The discovery is likely the person’s Moment of Truth in the story. In the popular book MARLEY & ME, the dual journey structure was a logical way to tell both the author’s and the dog’s stories in one book. John Grogan and his wife Jennifer embarked upon a journey of getting married, finding jobs, and starting a family. Their journey intersected with that of a rambunctious yellow Labrador retriever named Marley. The pet grew up in the course of the memoir from an untrainable puppy to an adult dog with serious issues that impacted the Grogans’ marriage and family life. The dual journey of Marley & Me is simultaneous. Marley’s journey shows his oversized fears and drama as he becomes an indispensable member of the Grogan family. John’s journey is that of a young man who at first, is focused on a career and new marriage. He becomes a respected journalist, father, and somewhat successful tamer of Marley. John’s Moment of Truth or climax and resolution occur when Marley is about to die. It is then that John realizes and states with clarity to Marley that this ever-loving companion was a good dog. The trick in a dual journey story is to not lose one thread while the other is unraveling and unfolding. 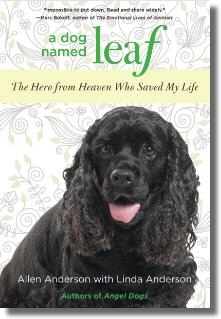 Pet memoirs, even the best-selling books, have reached various levels of success with this dance. The best ones choose to feature events that include both the person and the animal. Even when the animal is not part of a chapter, the person refers to the pet or remembers something that brings the animal back into the picture. From Part Two: From Writing about Pets and Animals to Getting Published, Module Eleven, What Form Should Your Pet Writing Take? Choose an experience from the period of your life when you and the animals you want to write about were together. This should be something that really rattled you and maybe even changed the entire course of your life. Write about it with as much detail as you can. Tell how the experience moved you into another path or direction. Now write about what your life would have been like if this experience had never happened or had turned out differently. How would it have been if the animal had not been part of it? Compare the two accounts and see if you have a deeper insight into why you had the experience. Why did things turn out as they did? What did the animal contribute to the experience? So why bother self-publishing a pet book? Although bookstores may have a policy of not carrying self-published books, sometimes independent and even chain stores will buy a few from local authors. They will shelve them, as long as the author will lets them return unsold the books. Don’t be discouraged. Stopping by to chat with a bookstore manager can encourage him or her to carry your book or even to schedule a book signing. But pet books have the advantage of selling to a specific niche market — animal lovers who buy books. This means they sell well in places other than bookstores. * Pet supply stores may sell self-published pet books, especially those written by local authors. * Often libraries will buy self-published pet books from local authors and even offer them the opportunity to make presentations about their books for library patrons. * People buy animal books as gifts for their animal loving friends. * When someone adopts a pet or loses a pet, friends often give them a pet book. * Pet books sell in gift shops and anywhere people buy gifts. * Self-published authors can use part or all of their profits to support their favorite animal charities. They can donate books to animal shelter silent auctions, where animal lovers get to know the authors by seeing the books on display and reading about them in the auction brochure. * Animal organizations sometimes buy books to give as rewards to their top donors. * Authors sell their pet books at a discount to animal nonprofit organizations that in turn, sell the books to raise funds. * Animal books aren’t limited to being sold to the general public in bookstores. They sell in pet supply stores, at fairs, as part of workshops and speaking engagements, and anywhere people who love animals gather. * Sometimes a pet book author strikes a deal with a pet product, or service company and the company buys the books at a discount to offer as incentives for buying their product or service. Get creative and you’ll see a multitude of places, people, and outlets that would be great for selling your self-published pet book. Can you envision yourself as a pet writer? What will your writing do to help animals, other people, and you? Go to www.allenandlindaanderson.com to buy and download your three-part pet writing course now. We welcome you to the wonderful world of writing about animals. Note: Immediately after your purchase you will receive an email with the link to download WOOF, MEOW, WRITE, PUBLISH. What does your choice of pets reveal about you? The following are a few highlights of a study done at the University of Oregon. Question: Why would the University of Oregon College of Business Administration be profiling 667 pet owners? Answer: People with pets are major players in the world of business. The pet supply industry is vitally interested in what will make you buy that designer dog dish or French day bed. Oregon’s College of Business Administration graduate students, under the leadership of Lynn Kahle, head of the marketing department, tried to figure out what your choice of a pet says about you. With that essential information, marketers can appeal to your sensibilities and convince you that Precious really does need a plastic bowl with a lid that doubles as a Frisbee. –People who are primarily attracted to fish as pets are more optimistic than most and not as materialistic or concerned about social status. So the gathering of this kind of data is how pet commercials are targeted directly at what excites and interests you — not your animal companion. Well, we have a slightly different take on the subject. We think that not only do animals often reflect a person’s psyche, they also mirror their souls, or the amount of love in their hearts. It’s our opinion that a person who says, “I don’t like animals,” is experiencing a disconnect between the heart and the mind. Ask any animal lover and they will tell you: Animals are our hearts. Have a little fun with two surveys we wrote that will help you gauge which type of pet most mirrors your personality. Visit www.angelanimals.net/quiz.html for “Pet Personality Quiz”. On another note, in consideration for animals who struggle to stay alive and be rescued in Haiti, remember the animal organizations that are going there to help. To keep informed about the animal side of the situation, subscribe to the newsletter provided by www.kinshipcircle.org. Have you been able to help a pet find a new, safe, and loving home? When a person must separate from a pet who has been a member of the family, it can be heartbreaking. It eases the pain if the person helps the animal relocate to a new home. We often get calls from people who must give up their pets. They are heartbroken, and the only solace they have is that someone responsible will love and care for their animal friend. Sending a beloved pet to an animal shelter, where his or her fate will be unknown, is unbearable. This week, we received a call from a young woman who is being deployed to Kuwait in early February. She had made arrangements with someone to care for her Great Dane while she would be out of the country. The deal had fallen through. Now, she has only a few weeks to find a new home for the dog. By now, she has enough leads to help her with this dilemma. But we wanted to share one with you in case you know someone else in her situation. Guardian Angels for Soldiers Pets, www.guardianangelsforsoldierspet.org is set up specifically to foster pets of soldiers who are leaving to serve their country. As people age and have to move to assisted living or places that don’t allow pets and with housing foreclosures that force people out of their homes, the displacement of pets has intensified. We encourage you to look around in your communities, churches, and neighborhoods for those who could use a paw up in finding new homes for their animal companions. It may only take a few phone calls or a bit of internet research. You could save some lives and ease the burden of those whose hearts are aching.